Hello. 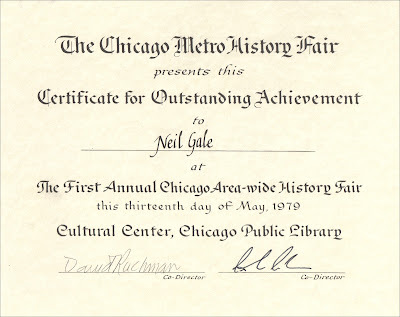 My name is Neil Gale. As a child, I had no interest in learning about history. Like so many of us, I found learning history in elementary school boring. I didn't think that remembering dates, names, and events would be useful as an adult... "in the real world." History was not captivating or even interesting to me. Many teachers didn't try to make learning history fun or exciting and didn't present the "results" of too many historic events. But, at the age of seven, I began collecting antique and vintage Chicago postcards (Chicago proper - no suburbs). My mom and aunt would take me to a lot of antique and collectible shows. 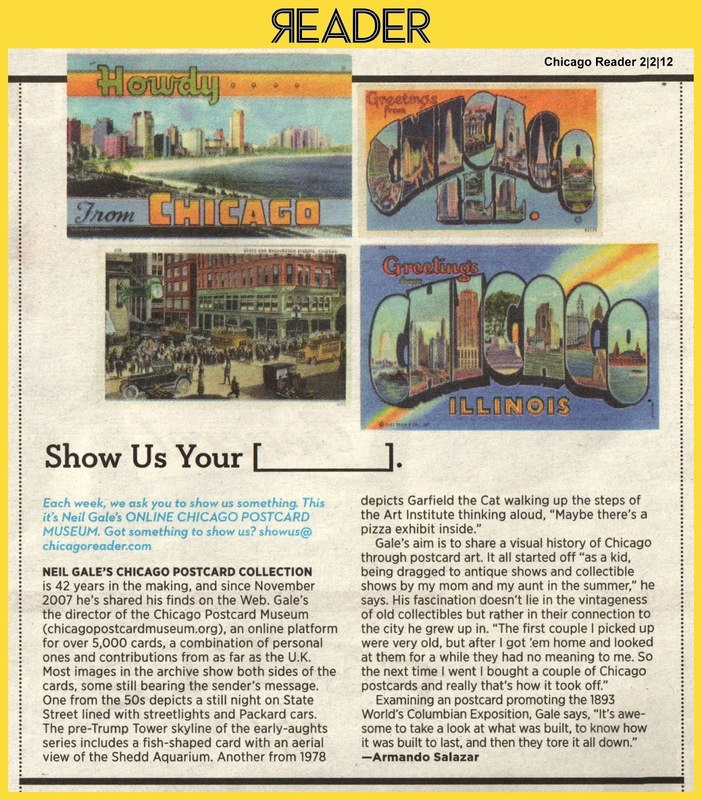 The first time I found an antique dealer's booth who had tables full of boxes filled with postcards from around the country and the world, I parked myself on one of his folding chairs in front of the many boxes marked "Chicago, Illinois." After about two hours, my mom came back to the dealers booth to find me still looking through and reading the postcards. Postcards were very reasonable back then, mostly 10¢ to 25¢ per postcard, so I was able to buy a few with my own money. I found it fascinating that I was looking at images that were 50 years old or older and that I knew the present locations and what it currently looked like. By the time I was in High School, I developed a liking for American History. Still, the teaching methods were mostly memorization. I learned on my own how to research historic events, places and people. 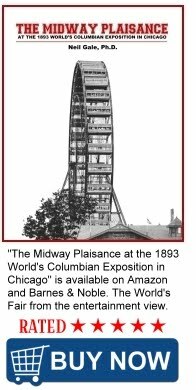 I spent many Saturdays at the Chicago Historical Society, researching the 1893 Chicago World's Columbian Exposition and other Chicago stories. The head librarian gave me a library card at no charge since I wasn't a member of the CHS. My senior year in High School was the first year of the Chicago Metro History Fair, which included the entire Chicagoland region. My project was about why the 1933-34 Century of Progress World's Fair stayed open for two years. 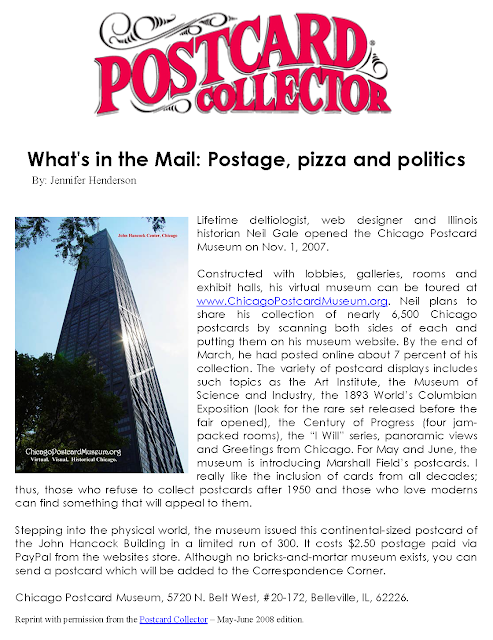 I included many of my postcards and a research report of the financial profitability of the World's Fair and its benefits to the City of Chicago and suburbs. 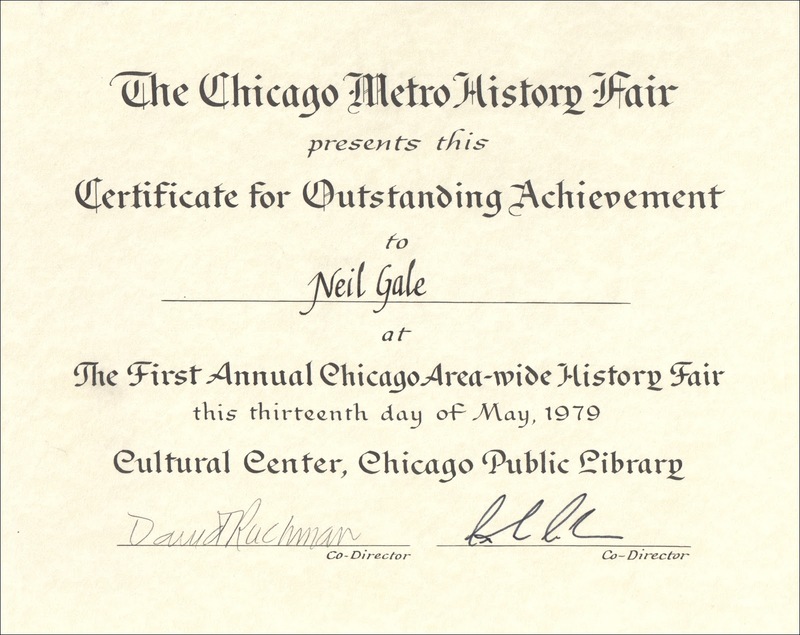 I won the regional first round and received a Certificate for Outstanding Achievement with an Honorable Mention in the History Fair's finals, held at the old Chicago main library location, now the Chicago Cultural Center. 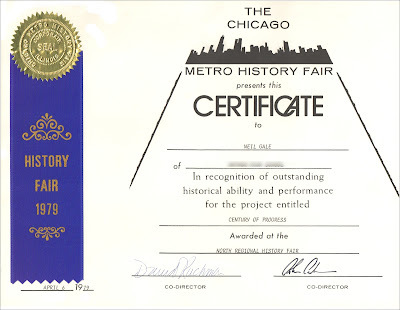 The First Chicago Metro History Fair. Moving forward to adulthood, I wanted to share my love and collection of old Chicago postcard images. I opened the Chicago Postcard Museum on November 1, 2007. The virtual Museum is constructed with lobbies, galleries, rooms and exhibit halls, just like you walked into a brick and mortar Museum. You will see special presentations and collections of extremely rare, antique, vintage, contemporary and novelty Chicago postcards. So far, only a small portion of my 8,000+ postcard collection is online. Listen to Dr. Gale's Interview on WBEZ 91.5 FM, Chicago Public Radio, Eight Forty-Eight Show presents: Passion for Postcards Goes Digital. Hosted by: Stephanie Lecci. February 26, 2008. Read more about my current Illinois history projects.